Winnemac Park Neighbors, Ravenswood: New logo! Neighbor Adam Davidson came up with this nifty Winnemac Park Neighbors logo to mimic the park district signage. We love it! 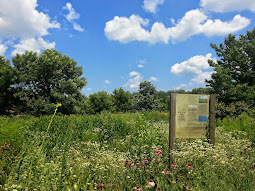 Winnemac Park Neighbors is an informal group providing local neighborhood information, connecting neighbors with resources, sponsoring community meetings and promoting volunteerism and fund-raising for our local institutions. Neighbors are also asked for input from our local officials and school leadership. We meet semi-regularly in various forums around Winnemac Park and send representatives to government and other community meetings. Check out the right hand side bar for the next meetings and events. Please email info@winnemac.org if you'd like to present at an upcoming meeting, make blog posts on this site or have questions that you feel neighbors can help with.